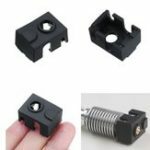 – Suitable For V6 PT100 Hotend Covers 3D printer part. 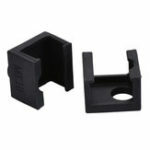 – The case will keep your nozzle clean and free of burnt on blackened plastic. 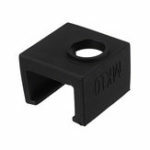 – It also offer a huge boost in temperature stability, particularly if you use high airflow cooling around the nozzle to cool the print. – Made of a heat-resistant, non-stick silicone material our will repel build-up of molten plastic. 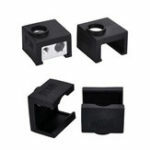 This really helps with sticky materials like Co-Polyesters and filled materials that like to build up on nozzles.